The PUD is continuously increasing its involvement in local environmental stewardship. We are actively involved with projects ranging from agriculture and energy to watershed protection, salmon habitat restoration and climate change. The PUD is helping to support Nooksack Salmon Enhancement Assoaction’s (NSEA) Washington Conservation Corps (WCC) crew in 2017. This is the sixth year that the PUD has assisted with funding the WCC Crew, which is an integral part of NSEA’s salmon habitat restoration effort. They are involved daily in on the ground habitat restoration projects throughout Whatcom County including riparian revegetation, live stock exclusion, fish passage barrier removal, large woody debris placement, habitat assessment and monitoring, and school education programs. Projects for 2017 will include fish passage projects, channel modification, blackberry and weed control and plantings to create more shade for salmon habitat. 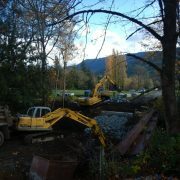 • Whenever possible, directly involve land owners in/on the ground salmon habitat restoration. Pictured above, NSEA workers place large woody debris for salmon habitat resoration. The WCC crew is supervised by a Department of Ecology employee and the five crew members are paid minimum wage under a one year contract. The PUD is a proud recipient of NSEA’s 2013 Supporter of the Year. NSEA is a community–based nonprofit organization dedicated to restoring sustainable wild salmon runs in Whatcom County. Organized in 1990 as one of 14 Washington State Regional Fisheries Enhancement Groups, it is a coalition of community members and partners who work together for restoration of wild salmon runs in Whatcom County from the Canadian border to the Skagit Watershed. 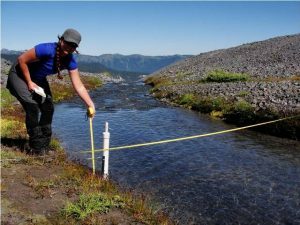 The Nooksack Tribe has received a grant to conduct a multi-year study on the impacts of Climate Change on the snowpack/glaciers of the Mt. Baker area and the impacts on streams and tributaries to the Nooksack River basin. Oliver Grah is the lead on the project for the Nooksack Tribe and provided an overview of the study/work for the PUD at the Board of Commissioners Meeting on September 23, 2014. Western Washington University’s Vehicle Research Institute (VRI) was awarded a $25,000 grant from the PUD to support its Biomethane for Transportation project. This project is focused on using the excess biomethane not used for power production as fuel, which is produced from an anerobic digester/power generator plant operating at the Vander Haak Dairy Farm, which is pictured at the left. 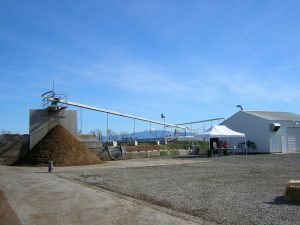 The biomethane produced through the anerobic decomposition of manure produced by Whatcom County dairy herds has the potential to provide approximately 11 million gallons of gasoline equivalent energy for fueling vehicles. The equivalent carbon dioxide reduction, resulting from the capture and combustion of this biofuel, would be similar to the removal of 90,000 automobile from use in Whatcom County. The ultimate goal of this project is to support and enhance the future viability of agricultural-based industry in Whatcom County through generation of new revenue streams and reduction of costs associated with environmental impact mitigation. Learn more about the Biomethane for Transportation project. The Nooksack Source Protection Plan was developed by the City of Lynden and Public Utility District #1 of Whatcom County in accordance with WAC-246-290-135 (4) and WAC-246-290-668. For purposes of preparing the NSPP, the Nooksack Basin is divided into its four primary subbasins: North Fork, Middle Fork, South Fork and Lower Nooksack. The focus of this document is on the areas above the City of Lynden and PUD water intakes.